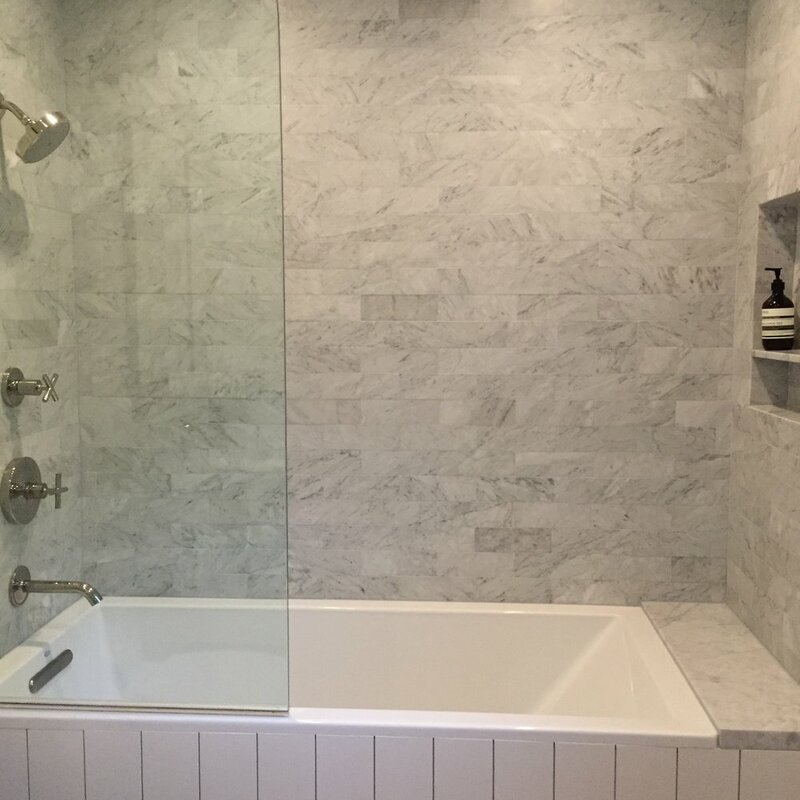 Hive LA Home reworked this Master Bath in Sherman Oaks, CA. A stand-up corner shower didn't give our clients the spa-like feel they really wanted (and everyone deserves, right?). 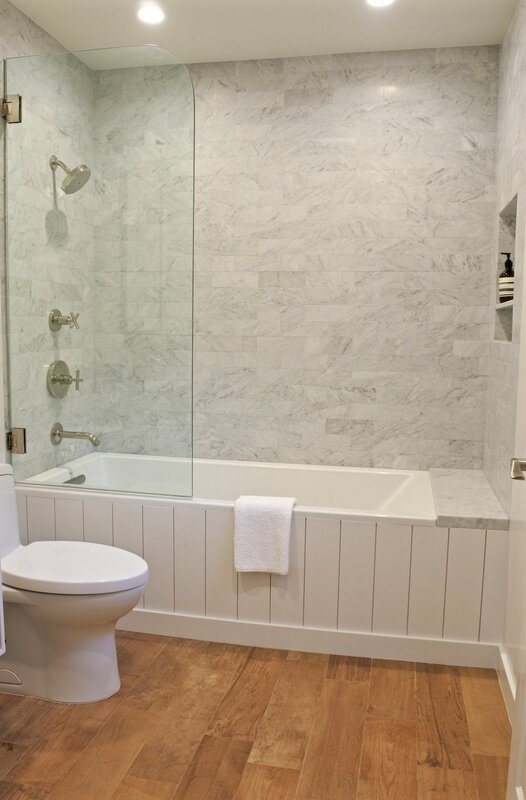 We opened up the floor plan to add a luxuriously deep soaking tub. 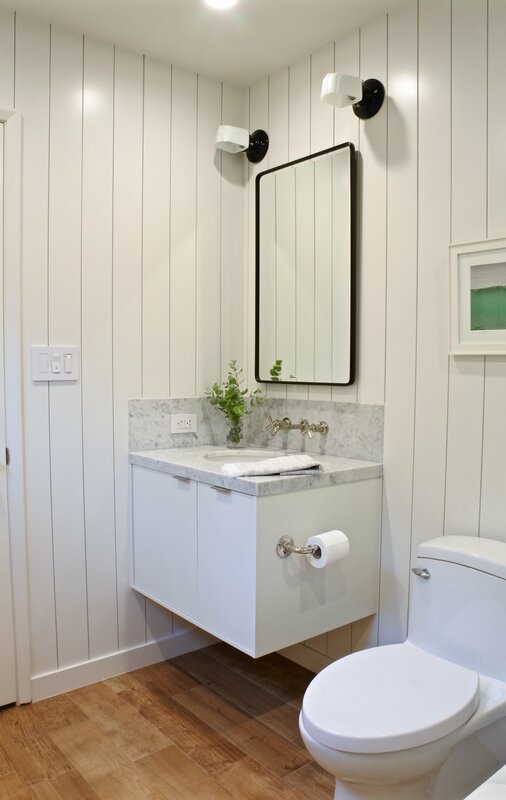 Warm wood-look floor tile and shiplap keep the polished marble and nickel finishes down-to-earth, resulting in a modern and serene bathroom that feels twice the size!